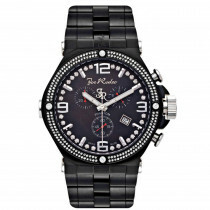 This Joe Rodeo Phantom men's diamond watch features 2.25 carats of genuine diamonds, a silver tone stainless steel case, a scratch-free crystal glass and a black rubber band. 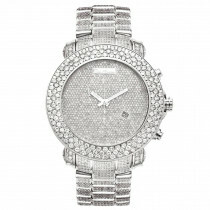 This diamond watch has two rows of white sparkling diamonds around the bezel. 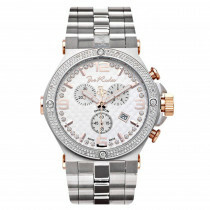 The watch also features a grey mother of pearl dial with three chronograph subdials, a silver tone hour markers and a row of sparkling white stones around it. 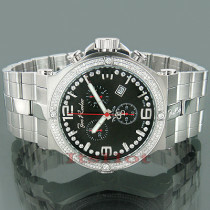 The super accurate Swiss-made quartz movement with a chronograph function will keep the time for you. 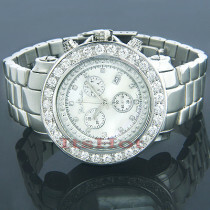 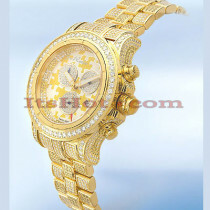 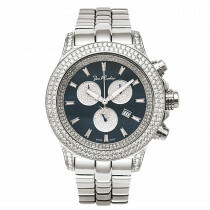 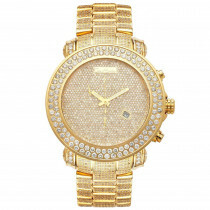 This Joe Rodeo diamond watch comes with two interchangeable straps in different colors. 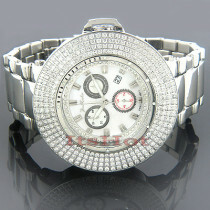 Q: What is the quality rating of the diamonds? 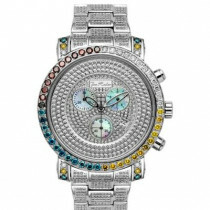 SI? 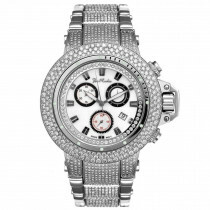 A: The manufacturer does not state the diamond quality as they feel the value is in the watch itself, diamonds are just decoration, so they only state total carat weight of diamonds. 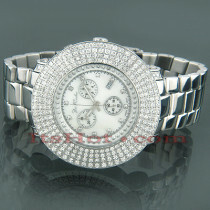 But these are nice and shiny diamonds, so yes they seem to be SI quality diamonds.